Are your power numbers in Zwift accurate? Take a quick test. 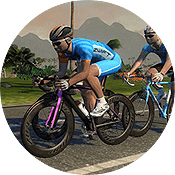 For many cyclists, Zwift is their first experience of riding “with power”–that is, seeing a wattage reading for their effort. And they have no idea if what they’re seeing is way off or absolutely accurate, and if that number means they are super strong or very weak. I feel your pain, and I’m here to help! Smart trainers and power meters are improving in terms of accuracy and reliability as the technology matures, and I think the vast majority of Zwifters enjoy acceptably accurate power numbers today. But we still see riders on uncalibrated trainers or trainers with known accuracy issues. And we also have riders on “dumb trainer” setups which use Zwift’s virtual power algorithms to calculate power numbers–and those numbers may be wildly inaccurate due to simple mistakes like under-tightening the roller or having low tire pressure. The only way to test the accuracy of your power numbers precisely is to compare them with a power meter you know is completely accurate. This article doesn’t cover this sort of testing. Instead, it covers two quick methods to help you figure out if your power numbers are at least in the neighborhood of being accurate. Sidenote: I actually enjoy doing these rides a few times each year, I call them my “one-hour challenge” rides, and it’s a fun test to see how much stronger I’ve become since my last attempt. The last one I did (July 2018) targetted 24 miles in the hour, and I made it by just two seconds according to my trusty Wahoo Elemnt. Even if you can’t do an all-out solo hour on flat roads, you should know by now what kind of speed you can hold by yourself outside on a flat road with no major winds for a longer stretch of time (20+ minutes). So if you’re unsure if your power numbers are accurate in Zwift, just find the speed above that you can hold outdoors on a flat ride going all-out for 20+ minutes. Then see if that wattage matches what you see in Zwift when you’re giving it everything you’ve got! Of course, the numbers above assume you aren’t extremely lightweight or overweight, or extremely short (or tall). They will be most accurate for a person in the 60-80kg range, and of average height. The numbers above were taken from bikecalculator.com, and compared with kreuzotter.de to check for accuracy. Obviously, speeds can vary greatly if you are in a more aero position. The numbers above were done assuming riding in the drops on a standard road bike setup (not TT). The sniff test is much simpler than the outdoor speed test. But it’s also less scientific. If you aren’t a trained athlete (let’s say you’re in your first year or two of serious cycling) and you are of average size, chances are very slim that your FTP is anywhere above 300 (for males). Chances are it’s close to 200, and maybe 250 if you have good genes or have been training for several months. Many riders will be significantly lower than 200 at this phase, and that’s OK too! The important thing to understand is that you certainly won’t have an FTP above ~325 at this phase in your training, which is why any time a newbie rider posts about such an FTP increase in on Facebook, folks laugh it off. It doesn’t pass the sniff test. That’s it–two ways to quickly see if your numbers are at least somewhat accurate. I hope this helps some folks out! Comment below if you have questions, or if this post has helped you figure out your power situation. I also think the opposite is likely to be true. I’ve placed upper middle pack in my class and age in rides and races for years as a completely amature rider. I’ve never ridden with entire fields of riders that claim be about 60kg as so often as seems to be the case in Zwift. In the end I enjoy the rides on Zwift, but I do wonder about their real identities. In the end IRL or Zwift the only one I’m racing is myself anyway. Good points here. Another test suggestion is to use a moderately long climb, if you have them in your area, and see where you stack among others. Before I had a power meter I would look at Strava leaderboards for climbs and compare with people who had power meters whose weight was close to mine. You only need about 5 climbs like this to get a pretty good sense of it. I use a fresh blood bag. …Works great everytime . Consistent results. And with zwift theres no doping tests . !! . “certainly won’t have an FTP above ~325” I do have a problem with this statement. It might be unlikely to have an FTP above 325 but it’s not impossible. The outdoor speed test is a great way to evaluate a setup. My last tri was a 56mile bike with an average power of 260 watts and a 23.5 mph average. my FTP at the time was 330 watts with my power tap pedals. This is only my 2nd year of tri. So, using that term “Certainly” is kinda dismissive in my opinion. I could have qualified it more, I suppose… I tried to explain that it would only apply to someone who hasn’t been doing endurance sports for more than 1-2 years. If you’re at 330 after two years, my guess is you either 1) are a bigger guy and/or 2) were already pretty fit when you started tri? Another method I’ve used is to do a moderate length climb (the steeper and more consistent the better) is to go on strava, find the segment, filter by my weight category, export that into excel, and pick out all the people with power meters and plot power vs duration. This should form a roughly straight line for a steep enough climb, if I’m way above or below that line then that gives me a clue that somethings up (this was the case with my first power meter). Also using tools like mywindsock.com and bikecalculator.com are great for getting an idea for if your numbers are in the right ballpark (as well as working out if you have a chance for a KOM!). Power for a 20 minute FTP test = 212 Watts and killing myself!! 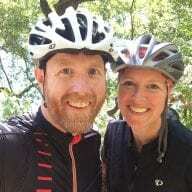 In fact, all my rides and races on Zwift seem to have low average watts, especially compared to my spouse who’s half my weight and struggles to keep up with me IRL. On Zwift, she drops me at will! I asked my bike shop “what’s up with this discrepancy?”. They called Wahoo and they said that my Kickr belt may be too tight. I am getting it looked at soon. Good luck, Victor. 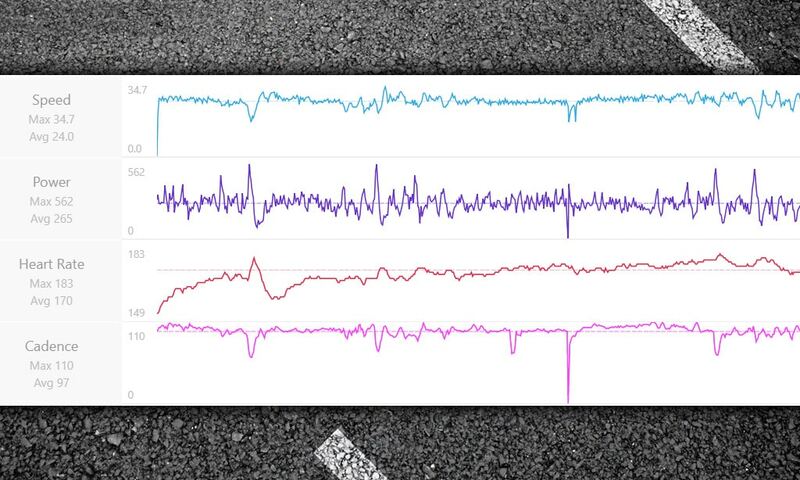 Hope you get good news that your Zwift power is actually reading low… that’s always fun to hear! Thanks for this article 😉 what are the sniff values for women please ? I’m not as knowledgeable about women’s numbers, BUT I would say a standard untrained female rider coming in is probably going to have an FTP topping out at 150-200 watts, while pro would be in the 275-350w range depending on their size. I think more likely you have misunderstood bikecalculator.com slightly: The wind speed entry you have used, 15 kph, assumes a constant headwind at 15 kph the entire 40 km TT. As most of the resistance is wind, it would mean a much higher speed for you at the same course with no wind – about 42 kph insted according to bikecalculator.com. Would that have been possible? Wind speeds are usually measured/reported/forecasted at 10m height, meaning at the surface (bike+you) it’s usually less, and buildings, trees etc. further reduce the experienced wind speed. And if the course you biked not was straight into the wind for the entire 40K, but was an out and back course, or in a circle, you also had some tailwind, wind from the side, etc. Using zero wind instead, you get 164W average, which probably is reasonable for 1h12m, if you can manage 212W in a 20m max effort. For a straight out and back course into the wind: Having first a headwind of 15 kph for 20K and then tailwind of 15 kph for 20K would mean you’d need higher average power than the full 40K at zero wind for the same speed: Using 183W average and 20K +15kph wind, and then 20K -15kph speed, you get a total of 1:12 in time, with about 45 mins (below 27 kph) for the first half, and about 27 mins (44 kph) for the second half. So, likely you averaged between 164W and 183W for the TT. My physics is a bit sketchy, but don’t we produce our own wind (drag?) even when pushing through windless day? (293 + 166) / 2 = 229.5 watts. My comment was for Victor, seems the reply didn’t end up in the right location. I want to ride on zwift and see my speed on garmin for see of match! But the calculation garmin does w/o power meter only with speed/cadence sensors is wrong ; anyone can give sobre ideas for “tight” my bike right por more accurate?